For a few years in the 1980s, I lived and worked in Washington, D.C. Spring is long and glorious around the Capitol city, so visitors and residents enjoy two months or more of blossoming trees, including magnolias, cherries, dogwoods, crabapples, quince, and many others. The blossoming tree season here is much more compressed, which makes it more startling when it arrives and more precious, I think. We’ve hit that moment in the year when trees and shrubs have burst into bloom. 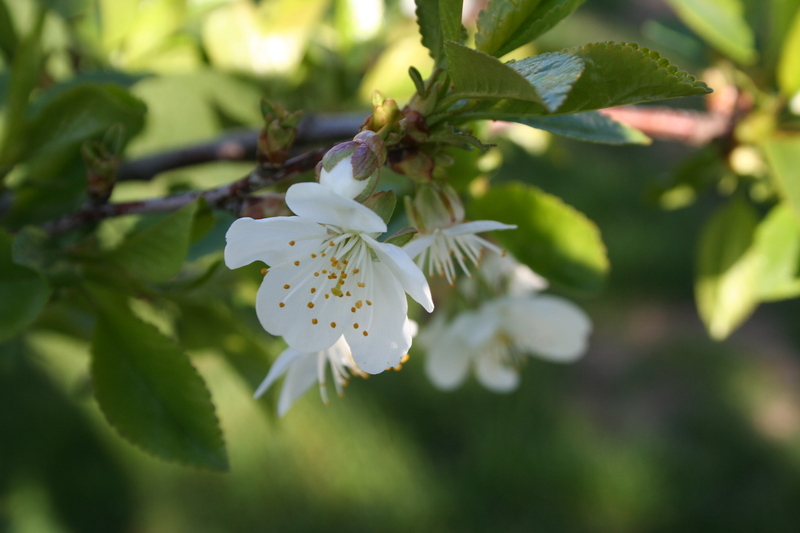 My cherry tree began blossoming this weekend as did both of the apple trees in back. Lilacs will follow soon enough. We went to the Metrodome Sunday to watch the Twins play and hear the Northfield High School choir sing the national anthem, and on the walk back to the car, I could not stop looking at the massive flowering crabapple trees that line the sidewalks near the Hennepin County Medical Center. These must be old trees as their trunks are about a foot in diameter and the branches were covered with pink and deep lavender flowers. What better sign of spring than a flowering tree, all beauty and promise, gaudy and grand. 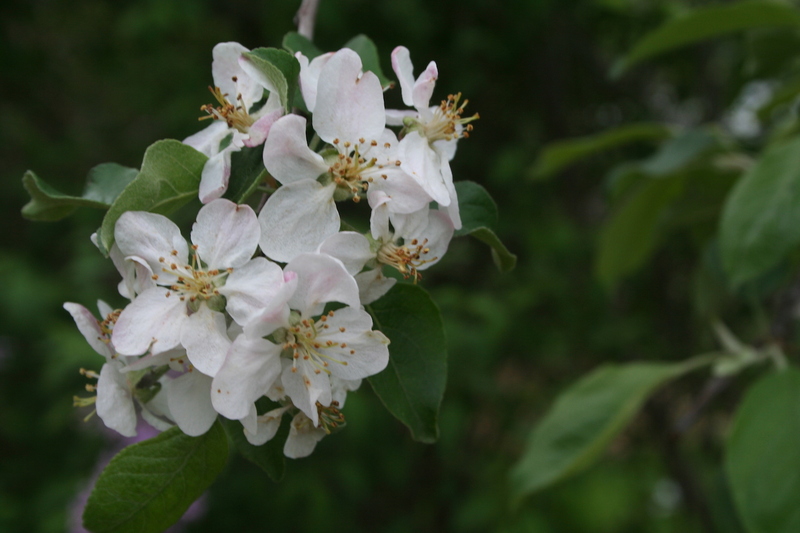 Apple blossoms add color and lightness to the spring landscape. Critics of flowering trees — yes, there are critics — don’t like the mess these trees create. They drop petals all over the sidewalk, and many of the older varieties drop fruit in the fall. (My mother made crabapple jelly from the fruits of the tree in our yard when I was growing up.) They require a lot of clean-up for only a couple of weeks of show, they say. So what? The two or three weeks in which we enjoy flowering trees are among the most beautiful weeks in a Minnesota year. Let’s enjoy them.